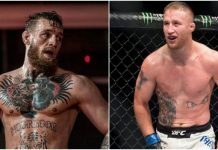 Last night, in the main event of UFC Lincoln, Justin Gaethje and James Vick stepped into the cage together to settle weeks of pre-fight trash talk. In the end, the former World Series of Fighting champion Gaethje came out on top in emphatic fashion, melting his rival with a blistering first-round punch. Given the bad blood between Gaethje and Vick, it should come as no surprise that this was a feel-good moment for the former. 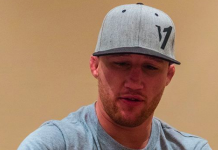 That said, Gaethje was quick to bury the hatchet with his rival post fight. After initially flipping him off, he approached Vick and gave him some props. 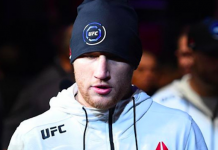 “I said, ‘It’s what we do, man – it could have been me, it could have been you,’” Justin Gaethje told MMAjunkie of his post-fight exchange with Vick. “I don’t want to (expletive) on that guy right now. He’s going to (expletive) on himself enough. 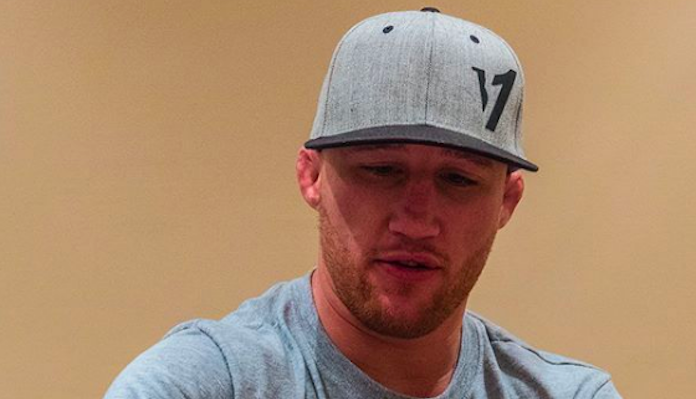 While many fighters have callouts prepared after a big win, Gaethje doesn’t seem focused on his next fight at present. Instead, he’s interested in scheduling a meeting with the UFC, and on taking a well-deserved vacation. 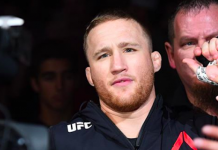 What do you think the future holds for Justin Gaethje after UFC Lincoln?